Do you need to know what is and isn’t working in your writing? Do you want to know whether characters are believable? Do you wonder if the plot moves too quickly or too slowly? Do you need help to trim the wordiness from your work? Do you have concerns about your pace, your theme, the rhythm, or your use of language? Is English your second or third language? Or do you need someone to brainstorm with? 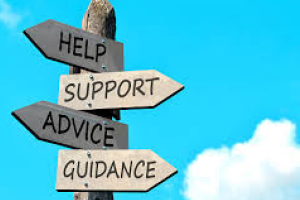 Is Writer Advice’s Manuscript Consultation Service Right for You? E-mail a sample of your manuscript-maybe 500 words. I’ll read your work and answer your questions or offer some suggestions. If I can’t help you, I can often suggest someone better suited to your needs. Send the e-mail to Lgood67334@comcast.net and put Manuscript Consultation Request in the subject box. Tyaga Hebel, author of ‘Finding Marisol,’ a memoir-in-the-making. B. Lynn Goodwin owns Writer Advice, www.writeradvice.com. 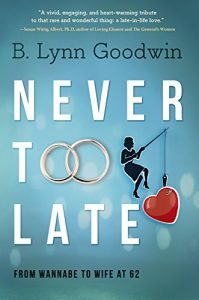 Her most recent book is Never Too Late: From Wannabe to Wife at 62. It won both a National Indie Excellence Award and a Human Relations Indie Book Award. The book earned either an Honorable Mention or Finalist status at the Next Generation Book Awards and the Best Book Awards. The multiple recognitions are a validation of both the content and style. She’s written You Want Me to Do WHAT? Journaling for Caregivers (Tate Publishing) and Talent (Eternal Press). Talent was short-listed for a Literary Lightbox Award and won a bronze medal in the Moonbeam Children’s Book Awards. Her work has appeared in Voices of Caregivers, Hip Mama, Small Press Review, Dramatics Magazine, Inspire Me Today, Caregiver Village, The Sun, Good Housekeeping.com, Purple Clover.com and elsewhere. She is a reviewer and teacher at Story Circle Network, and she is a manuscript coach here at Writer Advice. She is seeking representation for a memoir about getting married for the first time at 62, but she always has time to write guest blog posts and answer questions. She earned degrees from Vassar College and San Francisco State University and received her teaching credential from the University of Santa Clara. She facilitates writing workshops, loves doing author interviews, and since 1997 she has been publishing Writer Advice, www.writeradvice.com.